Preserving a healthy and safe military community. Providing healthcare services with excellent. Keeping up with the scientific and technical progress in the fields of health prevention, diagnosis, research and treatment. Constantly working on developing humanitarian and technical resources and facilities. As a result of the announcement of Lebanon’s Independence in 1943, the French Army handed over to the Lebanese Army the central dispensary and 2 barracks in Badaro – Beirut. 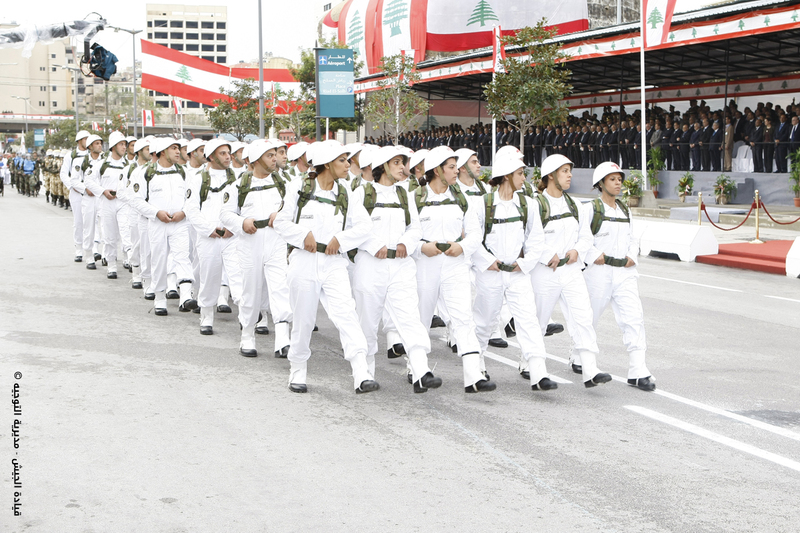 On the 1st of August 1945, the Healthcare Directorate in the Lebanese Army was established. On 01/01/1950, the central dispensary was transferred to the central military hospital. 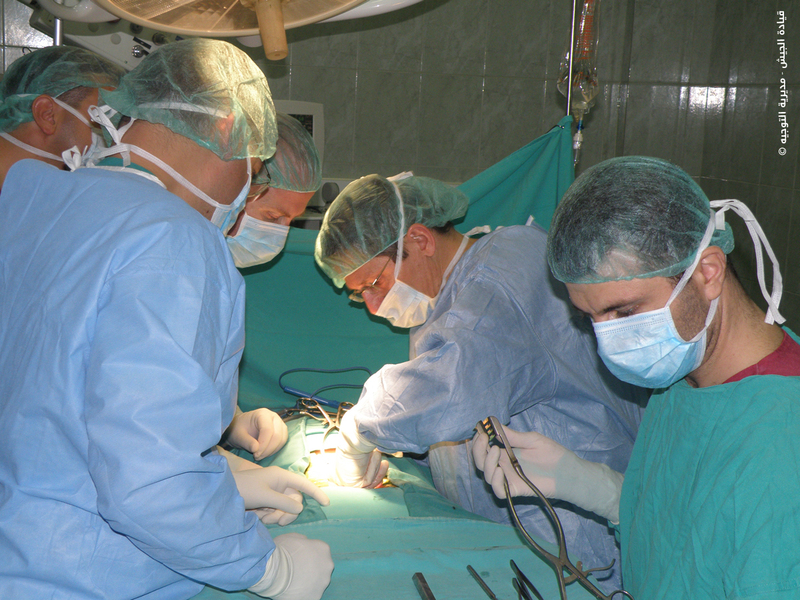 The healthcare in the army was reorganized under the operation of a medical brigade on 08/23/1983. As of 01/08/1998, the medical brigade was cancelled and the Military Healthcare was established. Providing healthcare and medical services for over 350 000 beneficiaries from soldiers, civil employees and their families. Upgrading the equipment of eye surgery in the surgical operations branch. Developing a computed radiography section. Developing central military laboratories, particularly the tissue laboratory, the blood bank and the molecular biology laboratory. Establishing medical dispensaries in different Lebanese regions. Rehabilitating and maintaining some facilities. Developing an emergency section, as to capacity, equipment and specialized medical staff. The emblem consists of a dove on top symbolizing peace and safety, two snakes twisting around a needle to denote the conflict between illness and medication. Two laurel branches symbolize glory to all who contribute to the recovery of the sick.